A class action lawsuit has been filed against Samsung and LG in Northern California. A civil lawsuit filed in a Northern California federal court has accused Samsung and LG of having a clandestine agreement not to poach each other's employees in the US. 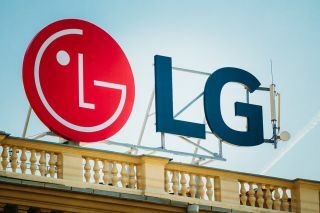 The suit was filed by a former LG sales manager who is accusing Samsung and LG of antitrust violations and believes the two Korean companies worked together to drive down employee wages. This case is reminiscent of the one which was filed against Apple, Google and other tech companies last year that resulted in a $415 million settlement. Samsung has declined to comment on the case but an LG spokesperson has stated that “no such agreement has ever existed” and that the accusation has no merit. It is difficult to believe that a deal between the two companies could have been agreed upon without consent from their respective headquarters in South Korea. The lawsuit argues this claim though it does not state a specific amount when it comes to the damages it is seeking. Frost's attorney, Joseph Saveri has previously filed similar cases against Apple and Google and believes no-poaching agreements are anti-competitive by their very nature.